MIAMI COUNTY — Three inmates are facing felony charges for reportedly using another inmate’s identification and money to make personal phone calls in August, including one suspect who attempted to make over a hundred personal calls. Devin A. White, 19, of Piqua; Austin W. Schwartz, 22, of Greenville; and Jeremy A. McInturff, 35, of Union, each reportedly used the same inmate’s account to make phone calls while incarcerated in the Miami County Jail, according to Miami County Municipal Court records. White attempted 98 phone calls, but only three of them were connected, according to court records. White was charged with three counts of fifth-degree felony identity fraud and three counts of first-degree misdemeanor theft on Aug. 10, and was in Miami County Municipal Court on Tuesday for a pretrial conference. A time waiver was filed by defendant. This was also reportedly the fourth time that White had used someone else’s account to make phone calls, prompting jail staff to segregate White from other inmates due to other inmates wanting to harm White for stealing from them. Schwartz attempted to make five phone calls, but only two of those calls were completed. Schwartz was charged with two counts of fifth-degree felony identity fraud and two counts of first-degree misdemeanor theft on Aug. 10, and also appeared in Miami County Municipal Court this week. McInturff, who is no longer incarcerated, reportedly made 11 phone calls on the victim’s account. McInturff was charged with six counts of fifth-degree felony identity fraud and four counts of first-degree misdemeanor theft. McInturff is scheduled to be arraigned on Sept. 11. White is continuing to be held in the jail on a total bond of $4,500, and Schwartz is being held on a total bond of $5,000. A local man was arraigned on multiple charges this week, including theft and menacing. Mark A. Wood, 33, who has previous addresses in Ansonia and Piqua, was arraigned on fifth-degree felony aggravated menacing, second-degree misdemeanor resisting arrest, fifth-degree felony harassment by inmate, fifth-degree felony breaking and entering, and fourth-degree felony theft in Miami County Municipal Court on Tuesday and Wednesday. Wood was charged with breaking and entering as well as theft in connection with a break-in on the 1000 block of Covington Avenue on Aug. 27, some time between 1-5 a.m. According to Piqua police reports, a detached garage was broken into and a dirt bike was stolen, along with a power tool. The dirt bike was recovered, but the tool was not. Wood was charged with menacing and resisting arrest when he was was picked up on a warrant on the 8400 block of North County Road 25-A on Aug. 30, at approximately 8:30 p.m. Wood reportedly became combative before getting into the police cruiser and began resisting. The subject sustained head injuries from slamming his head into the police cruiser divider. He was then transported to the hospital, where he was treated for his injuries, then incarcerated. Wood is being in the Miami County Jail on $12,000 bond. A pretrial conference is scheduled for Sept. 12. 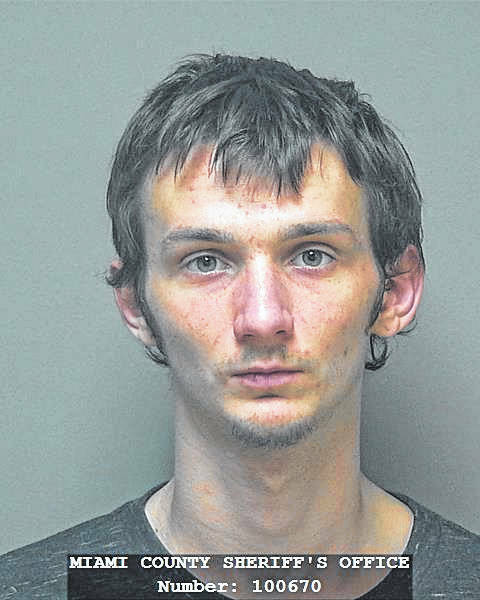 • An Arcanum man received two years of probation for stealing a package from UPS. 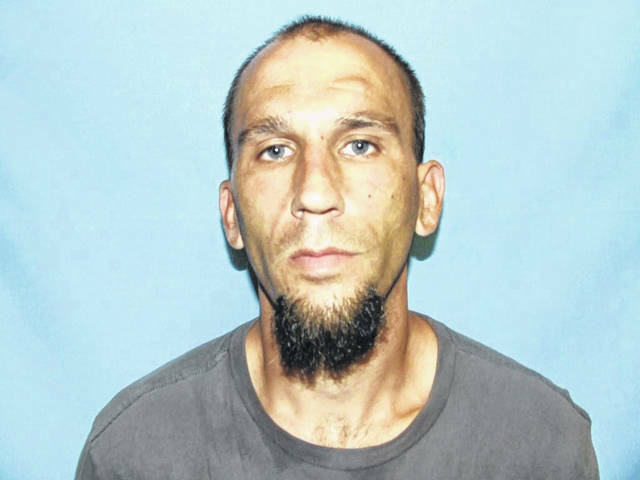 Jeremy L. Gilliam, 37, was originally charged with fourth-degree felony theft in connection with a package being stolen from UPS on Industry Park Drive in Piqua on Aug. 24, at 7:40 a.m. Gilliam was found guilty of an amended charge of first-degree misdemeanor theft and was sentenced to two years of probation, a fine, and suspended jail time. • Myriah C. McKay, 28, of Alcoa, Tennessee, received suspended jail time and a fine for first-degree misdemeanor possession of drugs, amended down from fifth-degree felony possession of drugs. • Misty M. Kraus, 43, of Troy, received one year of probation, a fine, and suspended jail time for second-degree misdemeanor obstructing official business, amended down from fourth-degree felony assault. • Edward D. Kuykendall, 50, of Piqua, received 180 days in jail for first-degree misdemeanor theft. Kuykendall was originally charged in connection with a report of a male subject being found naked on the floor of a bathroom at Walmart on Aug. 11, at 5:30 p.m. It was determined the subject had stolen property from the business. 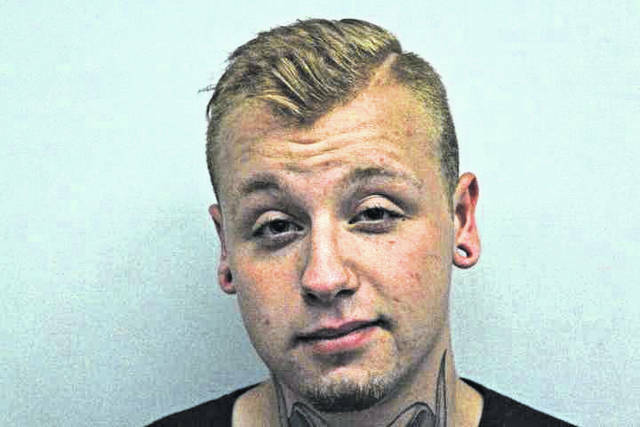 • Tyler M. St. Myers, 25, of Piqua, received 90 days in jail and a fine for second-degree misdemeanor attempted receiving stolen property and 30 days in jail for fourth-degree misdemeanor disorderly conduct, amended down from first-degree misdemeanor assault. • Thomas E. Maxon Jr., 21, of Troy, received one year of probation, a fine, and suspended jail time for fourth-degree misdemeanor disorderly conduct, amended down from first-degree misdemeanor assault. • Aaron J. Covault, 24, of Troy, received 90 days in jail for second-degree misdemeanor criminal damaging, amended down from fifth-degree felony vandalism and 180 days in jail for first-degree misdemeanor making false alarms. • Ashley D. Kline, 32, of Ludlow Falls, received 30 days in jail for fourth-degree misdemeanor disorderly conduct, amended down from second-degree misdemeanor possession of a drug abuse instrument. • Felicia D. Bourne, 30, of Piqua, received two years of probation, a fine, and suspended jail time for first-degree misdemeanor possession of drugs and fourth-degree misdemeanor disorderly conduct, amended down from first-degree misdemeanor child endangering. • William J. Goudy, 57, of Troy, received a fine and suspended jail time for fourth-degree misdemeanor disorderly conduct. • Staci L. Sampson, 33, of Covington, received a fine and suspended jail time for fourth-degree misdemeanor disorderly conduct, amended down from first-degree misdemeanor possession of drugs.